We specialize in rural, culturally appropriate medical care. We encourage patients to establish a long-term relationship with one of our physicians. Our Vision: We strive to provide excellence in primary care for our community and to enable patients to be partners in the management of their health care. - Improved access. This ensures that patients see a health care provider when they need to. - Continuity in care. We ensure patients see their own health care provider and team. 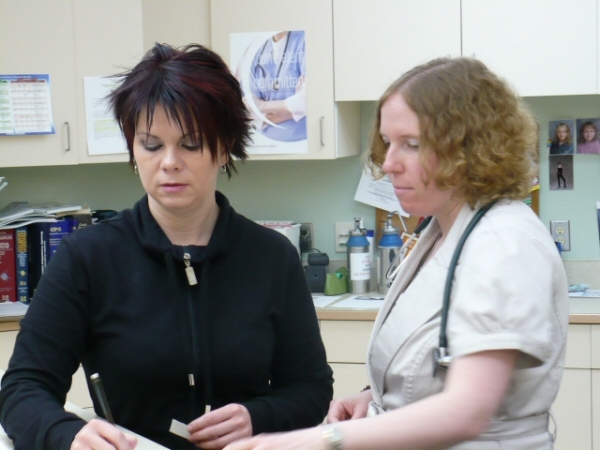 - Patients partnering in chronic disease management and primary care intervention. By working as a team with the patient as an integral member, patients can take ownership of their own health and health care delivery. - Improvement in efficiency. By working in an efficient environment, better health care can be provided by increasing access and by optimizing the time spent with the health care team. - Partnership with the community. By working with the community we practise in, we will provide for the community's needs and gain a better understanding of our patients. Our Mission: To provide quality, innovative and comprehensive care to our patients when and where they need it.